Bella Hadid's mother only allowed her to have a ''custom pair'' of horse riding boots instead of high heels when she was younger. Bella Hadid's mother only let her have a ''custom pair'' of horse riding boots when she was younger. The 20-year-old model has admitted Yolanda, 53, had very strict rules when she was growing up, and her parent was adamant the youngster was going to complete her education, assist in the barn, and could only treat herself to footwear suitable for horse riding and mucking out instead of high heel shoes she couldn't walk in. But by the time the fashion muse hit 18 years old she was ''100 per cent independent'', as she owned designer garments, platform shoes and had bought her own apartment. She explained: ''I'm not saying I don't love my job, but people think modelling is a bulls**t thing to become more famous. But Bella doesn't credit her 'The Real Housewives of Beverly Hills' mother or her 68-year-old father, Mohamed Hadid, for her success and has claimed her strong work ethic helped her to achieve great things. 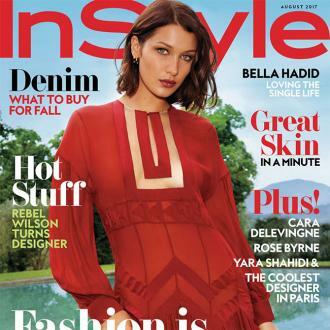 While Bella boasts a successful career at the helm of the fashion business, which has seen her front campaigns for designer brands including Fendi and Balmain, she can't help but feel like ''a piece of s**t'' because trolls on social media make her feel that way.